There’s no arguing over the fact that Aquaman is a hit. The film is tidying up in the cinematic world and is anticipated to get upwards of $1 billion around the world. Be that as it may, in light of the fact that a film is selling tickets doesn’t mean everybody purchasing those tickets like it. 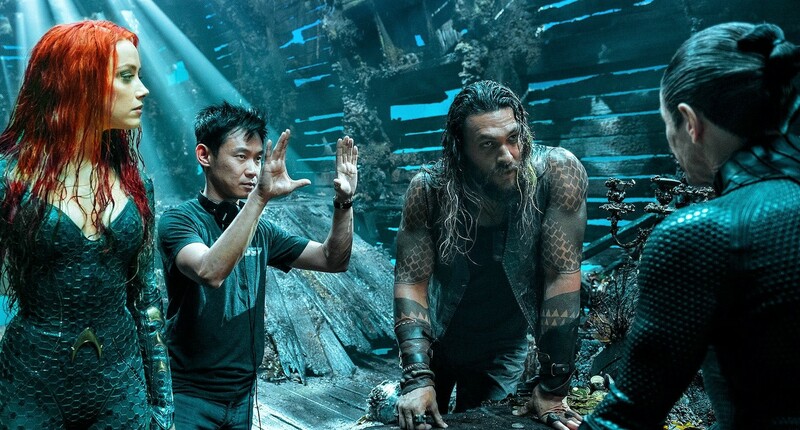 Aquaman is not a special case and with regards to viewer banter about the movie, director James Wan has an unmistakable message for fans: no harassment. Wan took to Twitter on Sunday to give it a chance to be realized that he will endure no harassment of any kind with regards to Aquaman, be it fans hassling those who didn’t care for the Jason Momoa-featuring film or the those who didn’t care for the film coming after him personally. Wan needed to address harassment on the two sides of the like it/loathe it divide is, from numerous points of view, an indication of exactly how intense being a fan can be. Numerous films have evoked solid responses from people, responses that frequently overflow into heated discussions on social media and, unfortunately, harassment of fans and movie producers alike – the responses to Justice League and Star Wars: The Last Jedi ring a bell. While it’s dismal that Wan even needed to address harassment in any form, it’s decent to see him dealing with it in a diplomatic manner, calling out the two sides and reminding them to be kind to each other. It’s that sort of ability to adjust the two sides of a situation that is reflected in Aquaman itself. Wan’s film foundation is supplied with dark, frightening movies, for example, Saw and The Conjuring while Aquaman is, interestingly, light and family amicable. Indeed, even in minutes that things do lean towards the intense and dark, Wan keeps everything adjusted. In one specific scene, Arthur Curry (Momoa) and Mera (Amber Heard) end up compelled to confront the terrifying beings of the Trench. However, notwithstanding there being scary minutes inside the scene, the general impact remained artistically excellent.